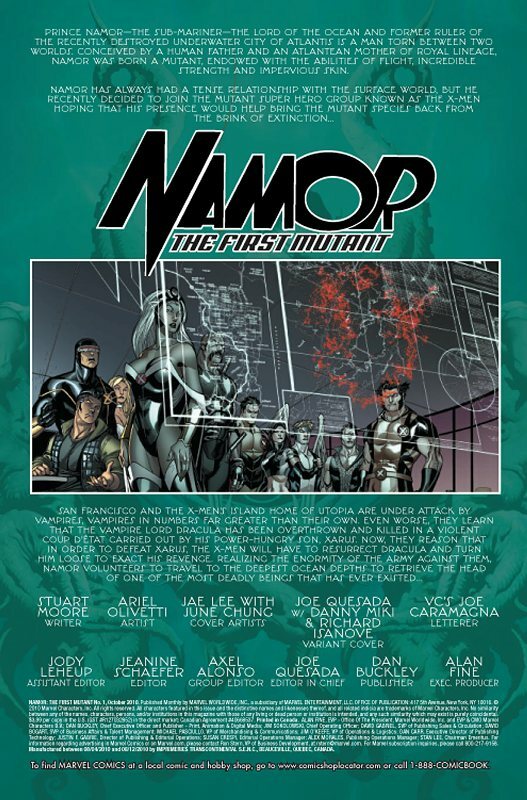 Vampires are hunting mutants and the only hope for the X-Men may be the Sub-Mariner, as he boldly launches into a new ongoing series with the extra-sized NAMOR: THE FIRST MUTANT #1, a "Curse of The Mutants" tie-in spinning out of the hotly-anticipated X-MEN #1! 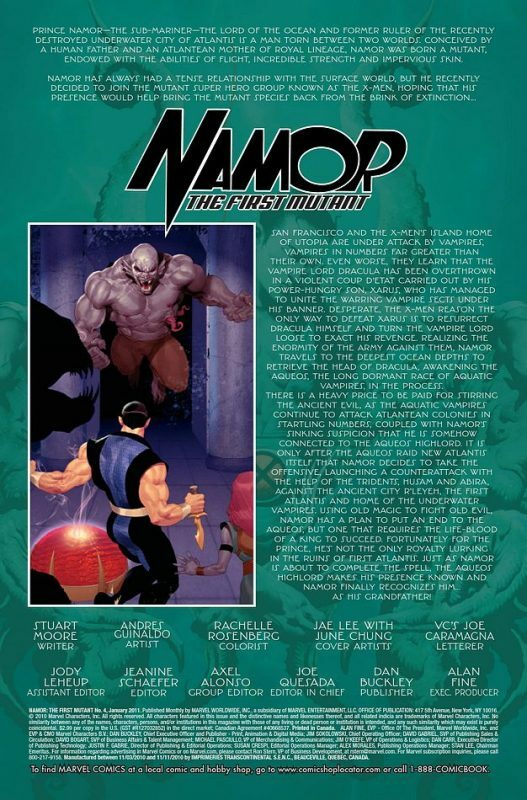 Stuart Moore and Ariel Olivetti set the world's first mutant on his most dangerous mission ever! 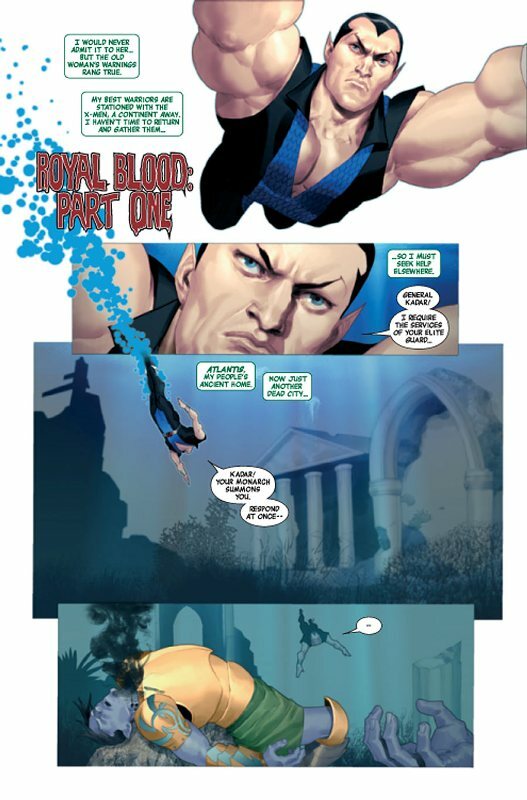 Namor may be able to end the vampire threat, but is he willing to sacrifice Atlantis? 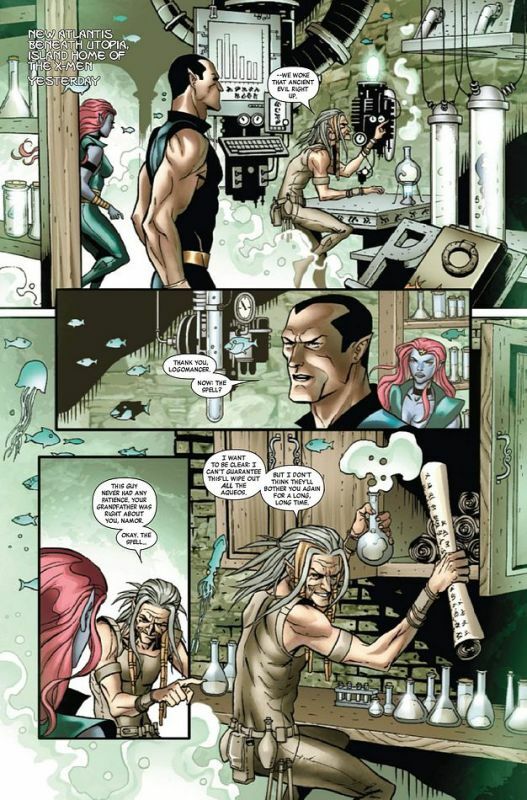 And what can stop the threat of...the Atlantean vampires? 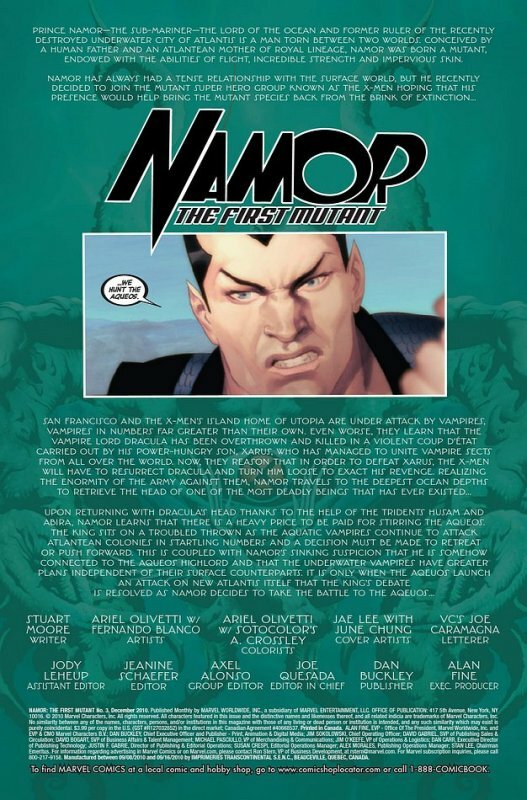 With covers by Jae Lee and Joe Quesada, NAMOR #1 marks the beginning on a new chapter in Namor's life...or his death. 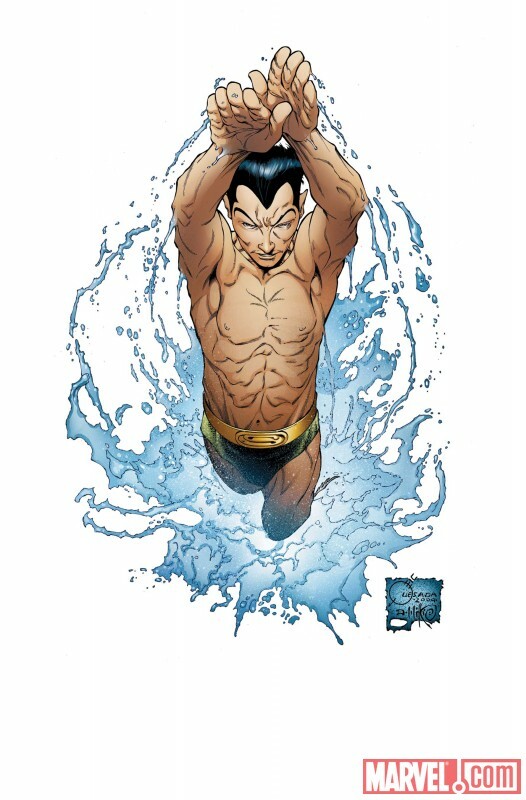 This August, dive into an all new ongoing series with NAMOR: THE FIRST MUTANT. 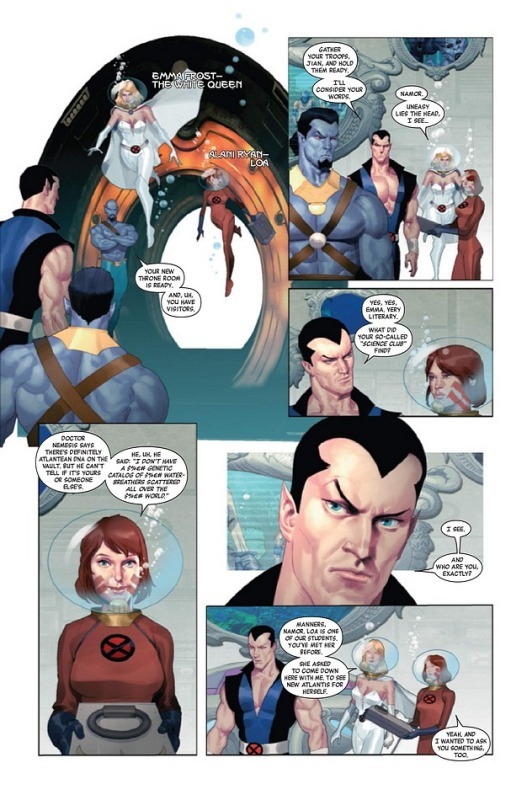 The X-Men will never be the same! 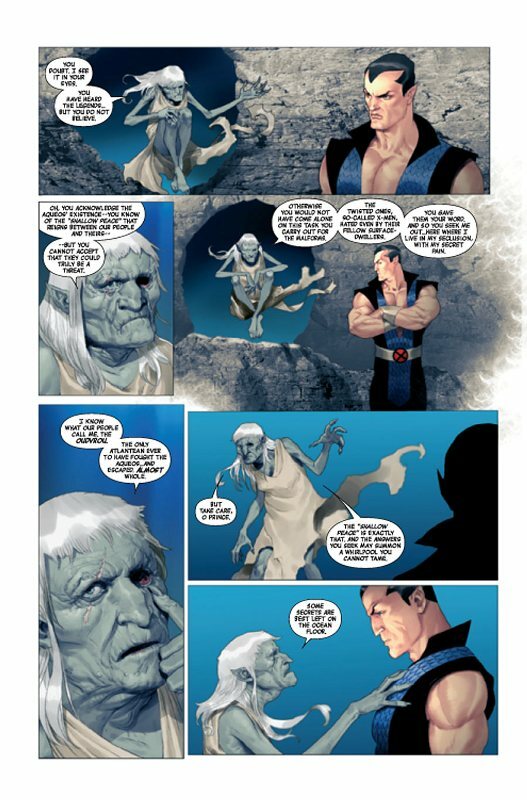 La connerie des X-Men contre les vampires est prise au sérieux par Marvel alors. 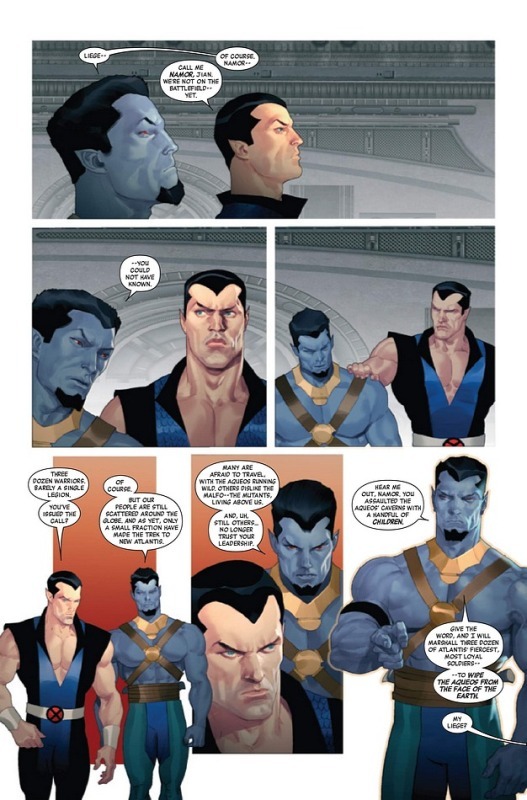 will define a new chapter in his life…or death. 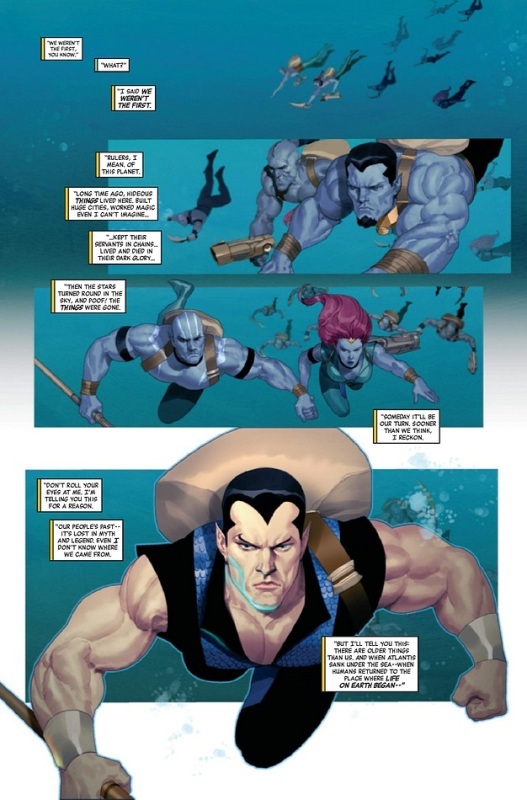 reassert themselves as kings of the seas. 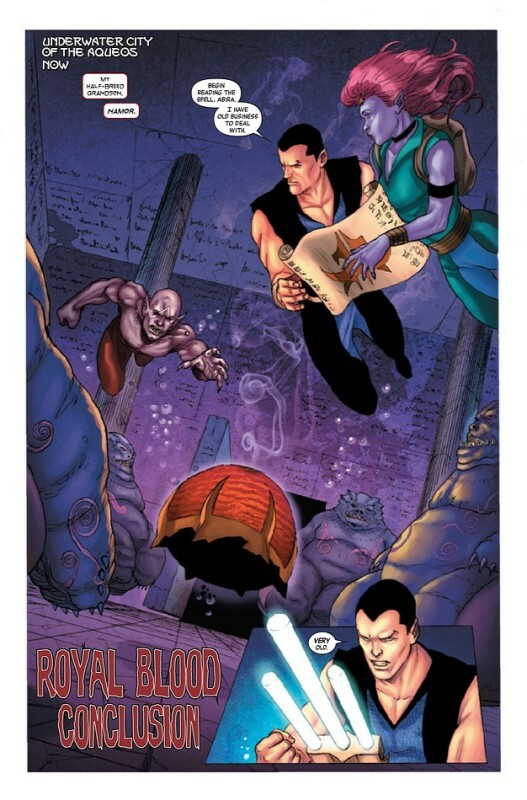 Continuing "ROYAL BLOOD," the epic storyline that propels Marvel's Avenging Son into a new world of horror! 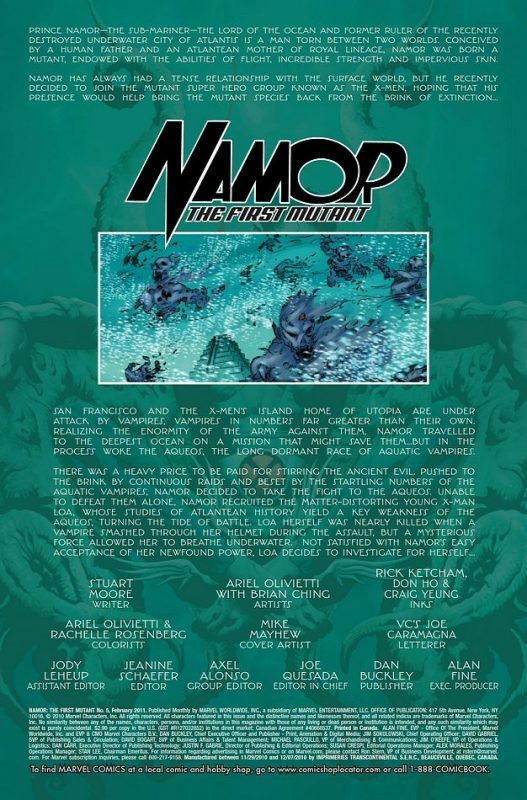 Namor takes the Curse of the Mutants deep undersea as he leads a fierce assault on the underwater vampires' eerie stronghold, far below the ocean floor. 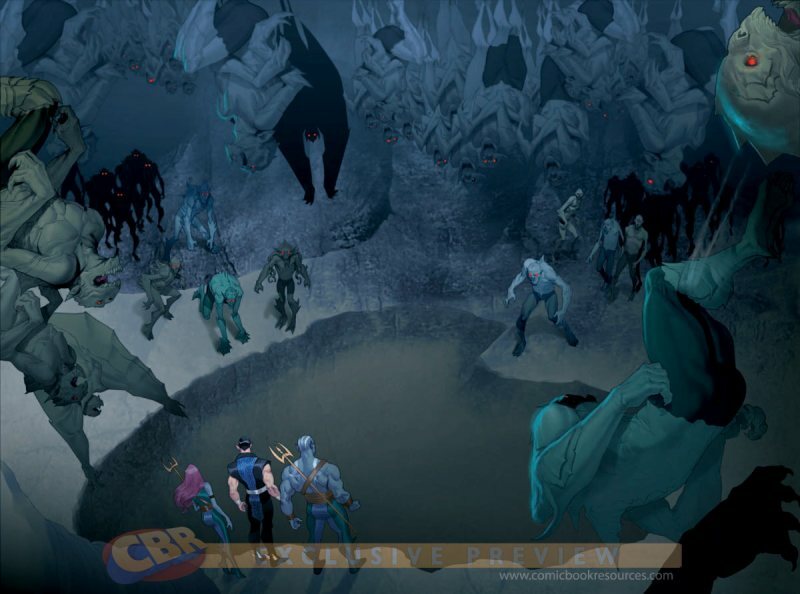 But as the First Mutant fights for his life, a dark secret from the past threatens Atlantis! 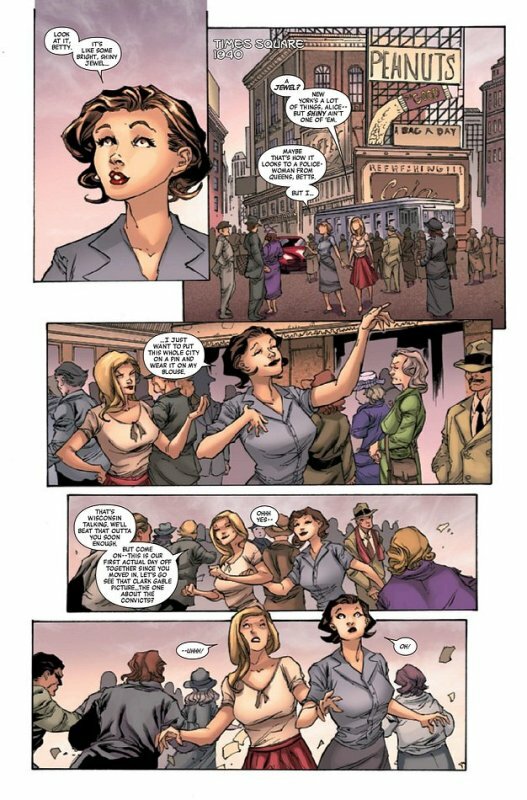 Si la série pouvait avoir la classe de la précédente série régulière par Byrne. 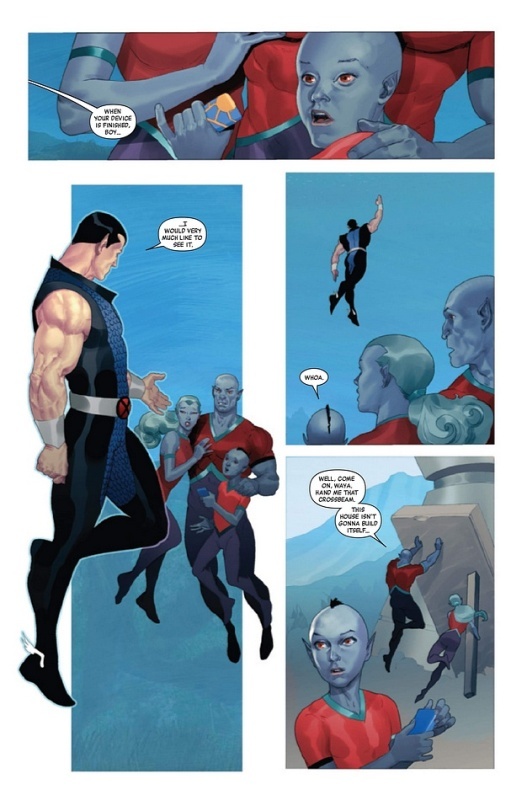 Je ne me souviens pas qu'on est les derniers épisodes, je me souviens d'un Namor dans un armure dorée et amnésique, tout ça dessiné pas Jae Lee. 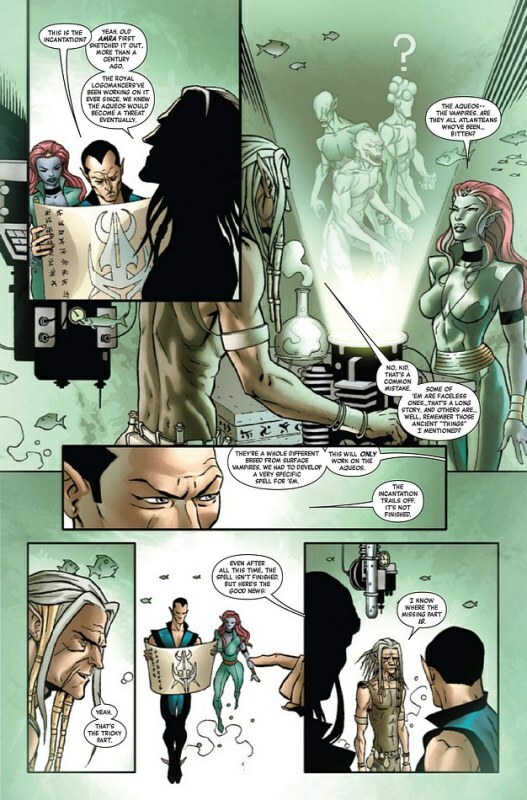 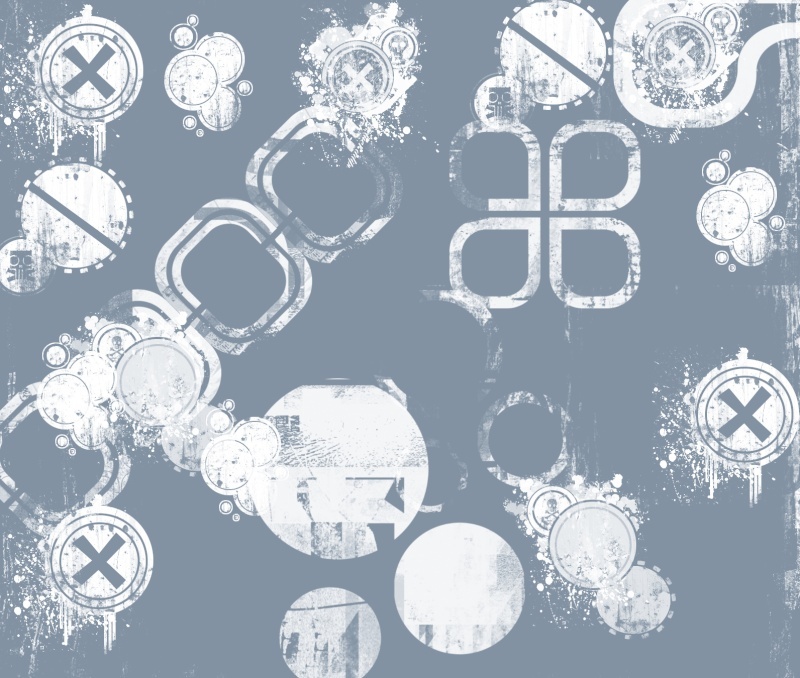 J'ai pas toujours accroché au style d'Olivetti, mais cette double-page dépote! 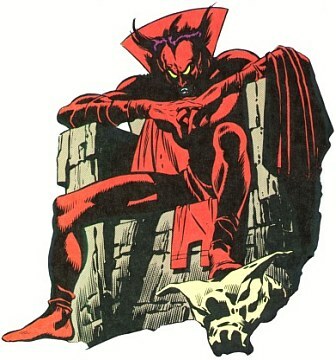 Faut dire, pour une fois, y a un décor. 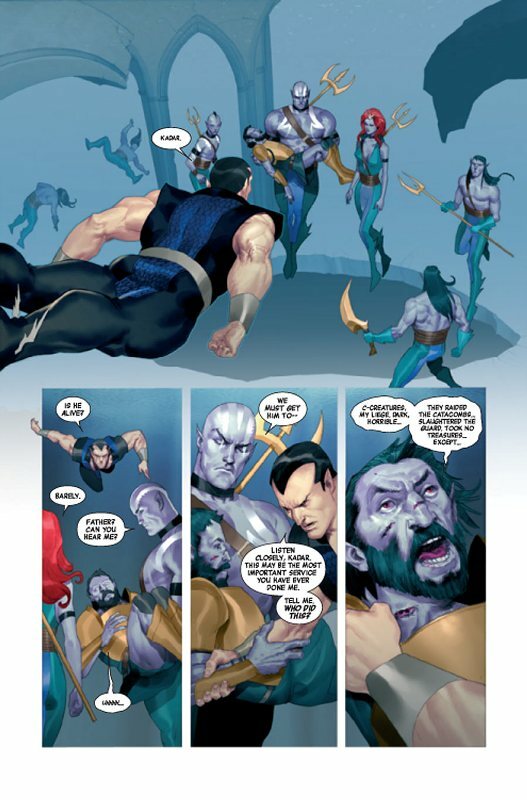 NAMOR GOES TO HELL -- PART ONE OF THREE! 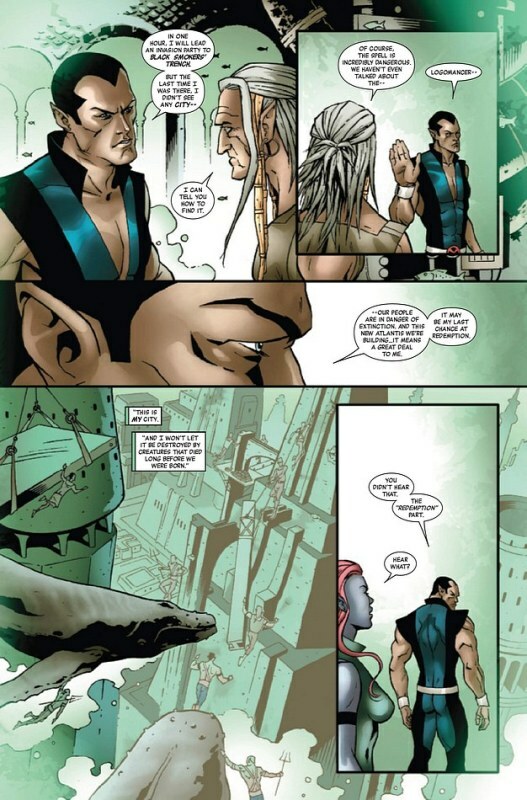 If Wolverine jumped off a bridge, would you jump too? 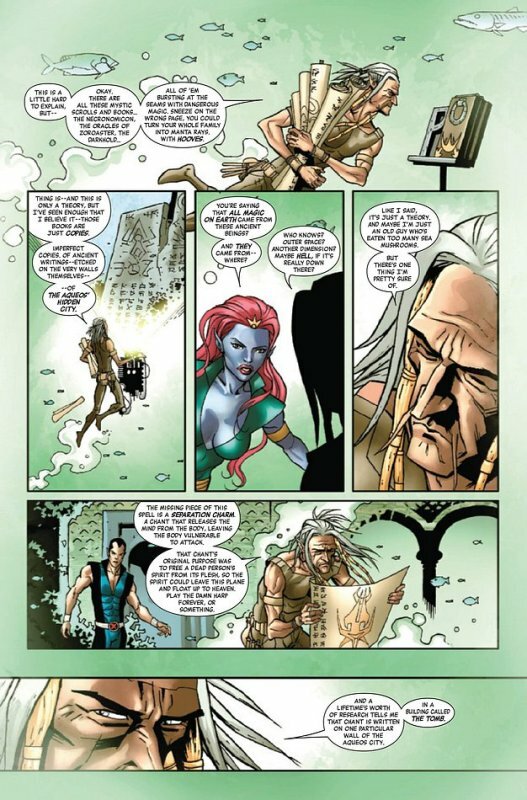 That's the question Namor must answer when the old Kings of Atlantis escape Hell only to drag him back down with them – into a burning desert wasteland. 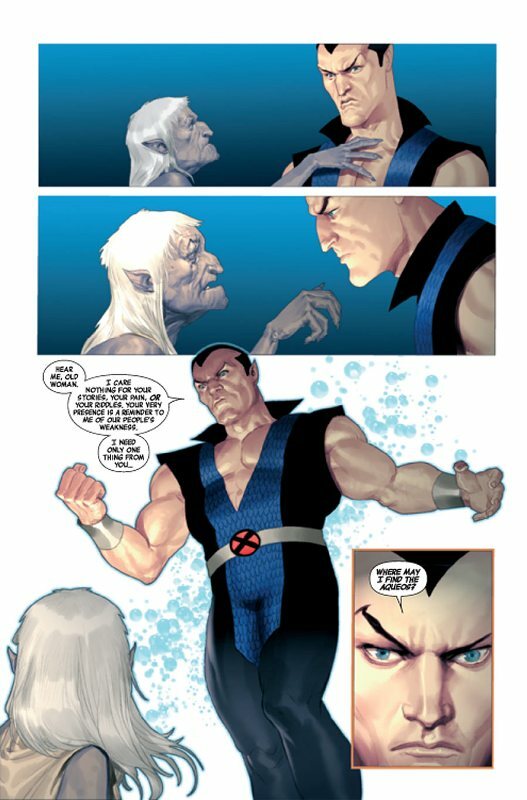 Can even the X-Men help him now? 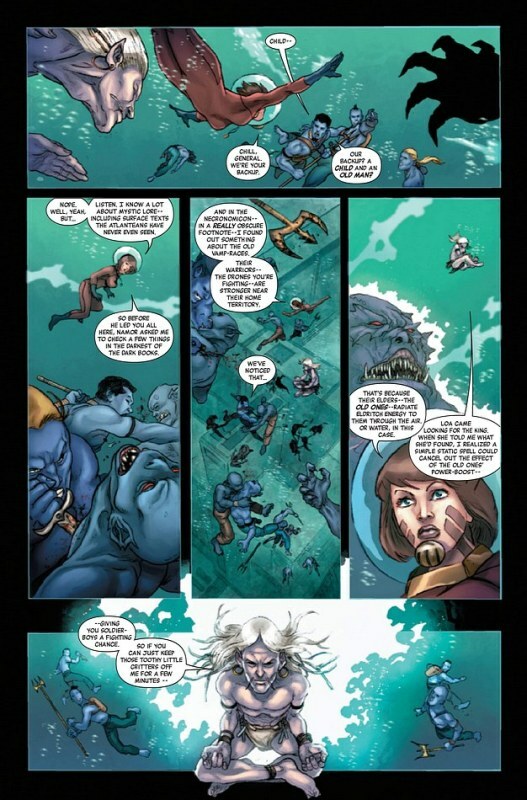 And with its king missing, what will happen to New Atlantis? 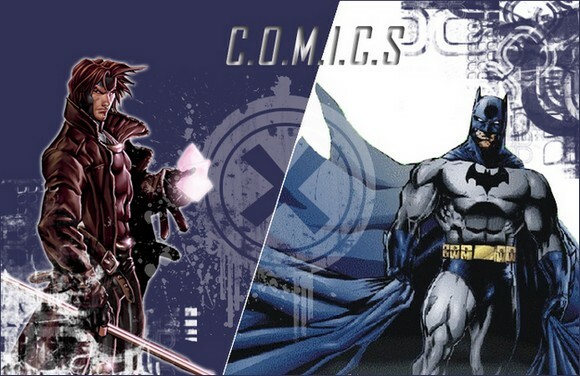 Pourquoi deux dessinateurs? 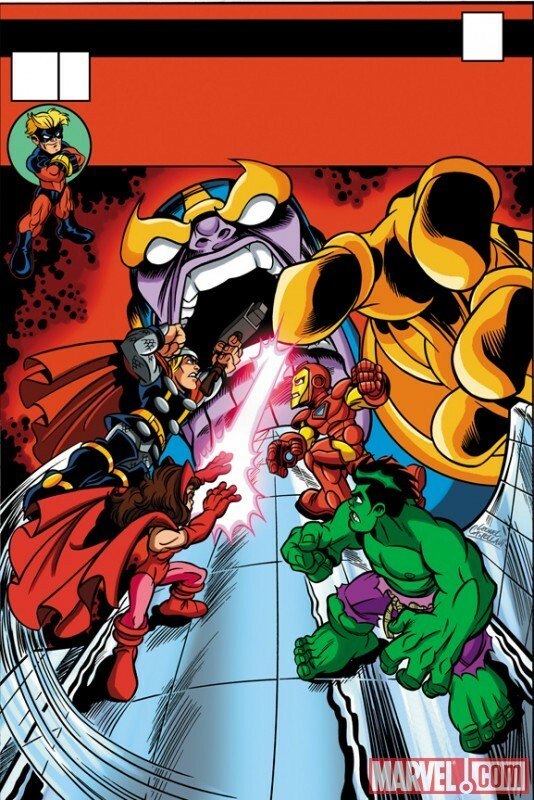 Olivetti est trop lent? 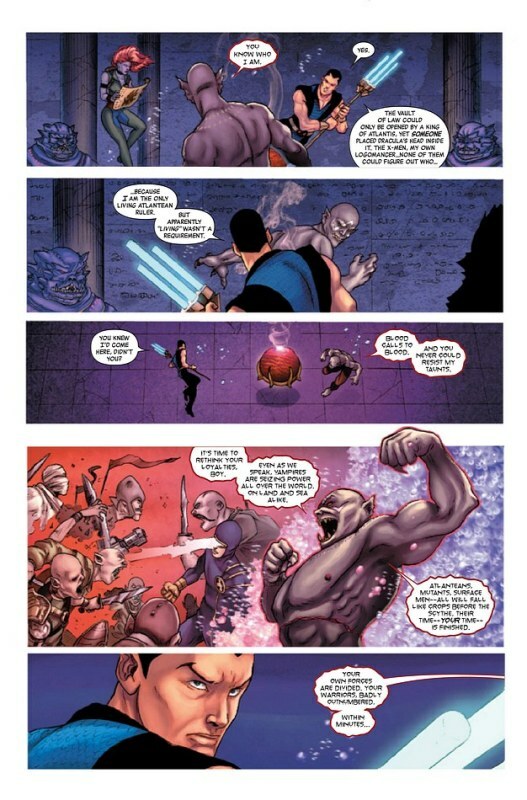 NAMOR GOES TO HELL, part 2 of 3! 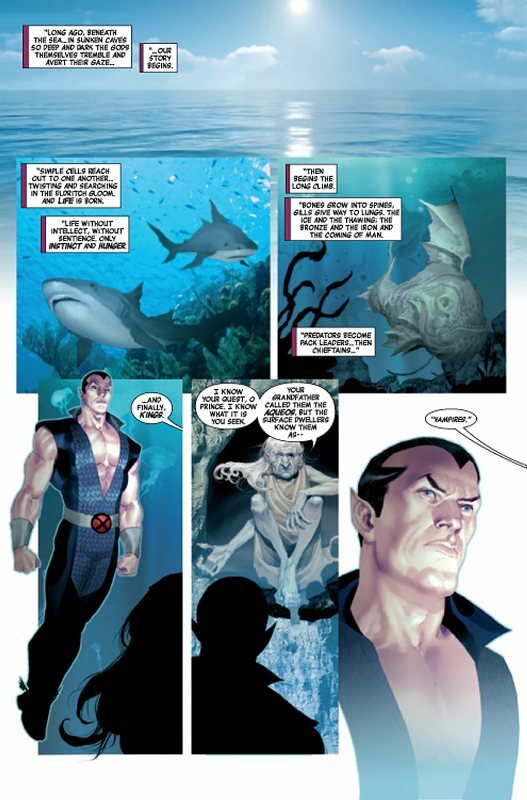 NAMOR GOES TO HELL concludes! 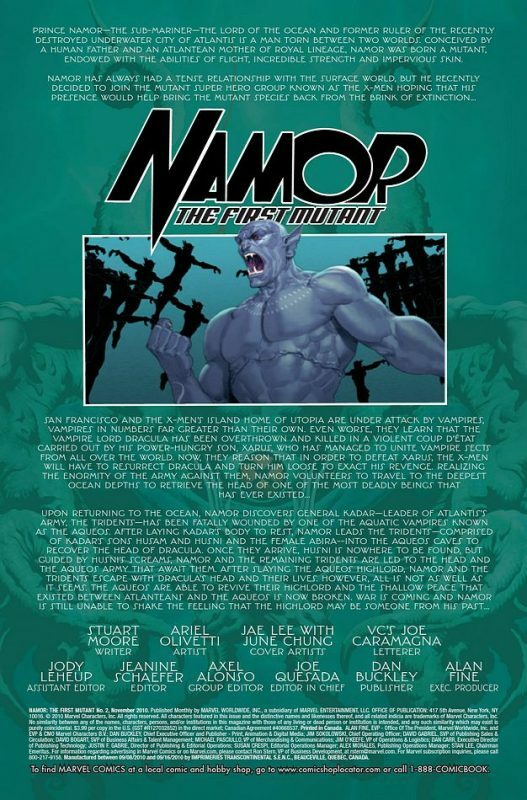 Abandoned by his greatest ally, Namor finds his escape from the desert netherworld blocked by an army of demonic creatures. 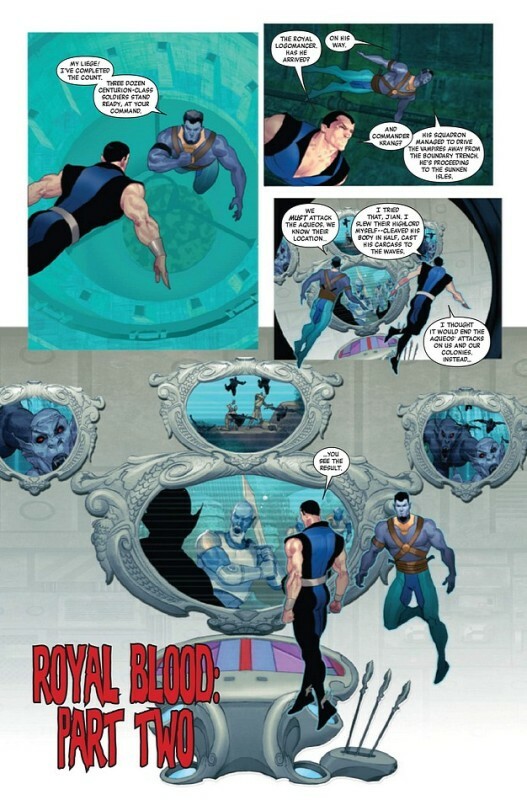 To regain his humanity, the King of Atlantis will have to overcome his deepest inner fears -- and that's nothing compared to the shock waiting for him back on Earth. 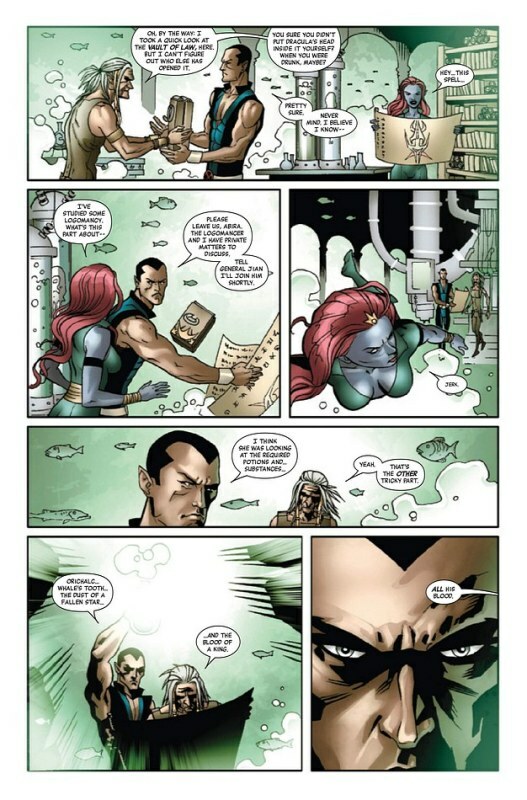 "The Fire Down Below," the epic that will change Namor's life forever! 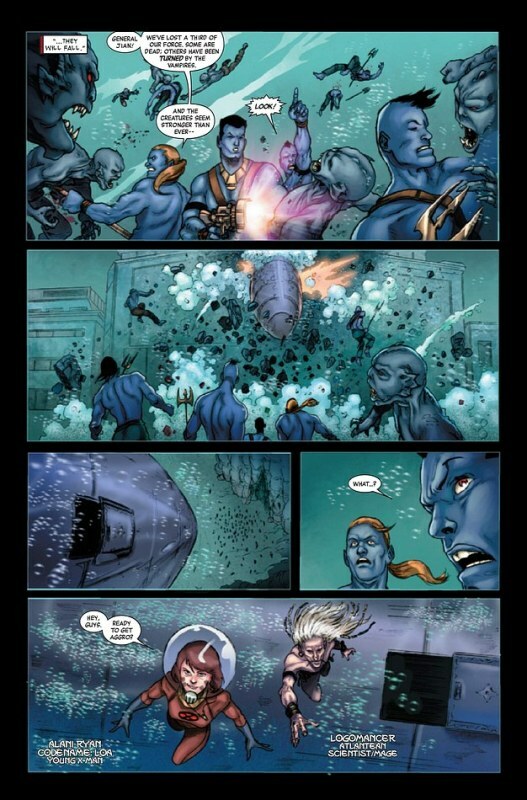 island sanctuary, crashing down on New Atlantis -- dooming BOTH cities!